True to my word I am starting the school year as I said I wanted to and that includes getting out and about in nature. No pressure to produce anything from the expedition, just being there is enough. Although the kids did ask where their drawing tools were so I will try to always take them with me from now on. We didn't venture too far from home and in fact this is one of our favourite places to visit. It has however been awhile since we've been there. 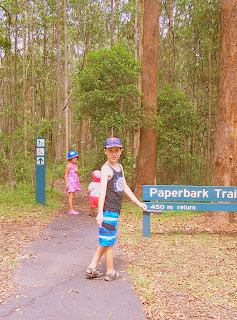 The Paperbark Trail is perfect for little feet as it is only 450 metres and is a very easy walk through the Paperbark Forest. There's always plenty to spot. 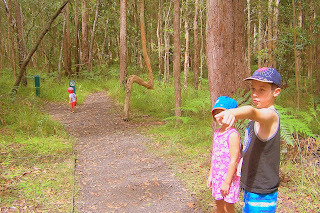 B and K were wondering why there were so many burnt trees. I am sure they were there last time, I guess they just didn't notice. 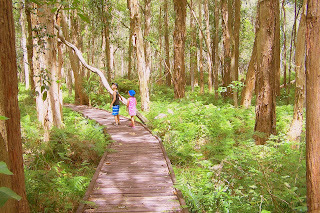 The boardwalk is a nice addition to this area, keeps everyone off the ground and the environment protected. This large creeping vine held their interest for quite some time. You could barely get by it on the boardwalk and I certainly don't remember it being there on our last visit. I'm wondering if it has become super heavy from all of its growth and has dropped somewhat, causing a near blockage of the walkway. It is very slowly strangling two quite large trees and truly would have been an incredible Tarzan swinging vine!! 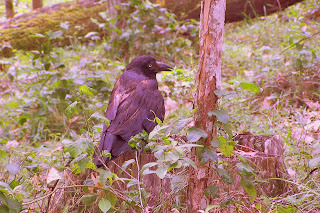 We were hoping to see loads of aussie wildlife, you know Koalas, Lizards, Wallabies those sorts of things but instead all we really saw were heaps of crows. I was lucky enough to grab some decent photo's of the kids though, which worked out perfectly as I wanted a new year photo for their year books. 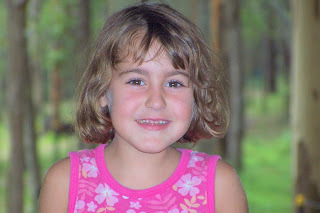 Wow I can really see why strangers always call C a little girl after looking at this photo (below). He still doesn't look like a girl to me though. He really has probably needed a hair cut (or at least a trim) for some time but both of us love it longer. I think it is because he so blond, not something we are used to in our house with all of our dark hair. He's our little surfer dude (or so we joke about) we can see him with his surfboard under his arm heading for the next best wave, can't you? 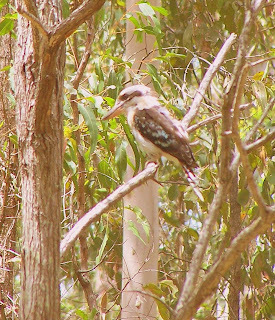 Just as we were leaving, we were in the car driving out, this Kookaburra flew right in front of us. I had to grab a quick picture just to remind us that we did actually see some Australian wildlife during our visit. That was a lovely couple of hours. Nothing to do but just enjoy the surroundings. I have never seen K get herself dressed and ready so quickly when I said we were going to the bush this morning. 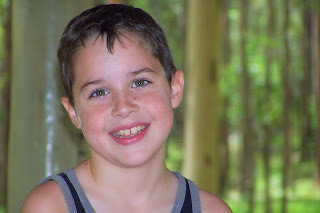 And C, well we could barely keep up with him, those two are peas in a pod when it comes to the outdoors. I am so glad we went and will definitely be making more of an effort to do this during our school week. Looks like a great day out. That trail looks really cool, makes me think I need to have a look for good (shady) nature walks out this way! 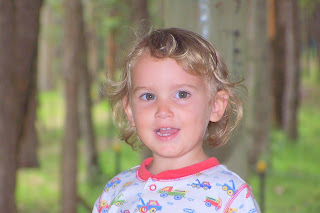 And C's curls look gorgeous :) I'm a bit biased though, Q is 3.5 and I JUST cut his curls! I remember this great trail. 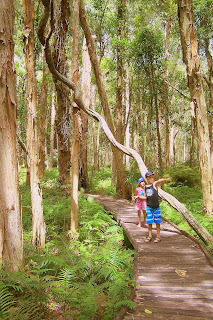 Shame you didnt get to see any Koalas this time round. The sun was shining this time though!!!! Great pics of the kids!!! !